U.S. District Court Judge Lynn Winmill has overturned a 2005 Forest Service decision that granted High Mountain Heli-Skiing vastly increased use of Palisades roadless area in the Snake River Range. 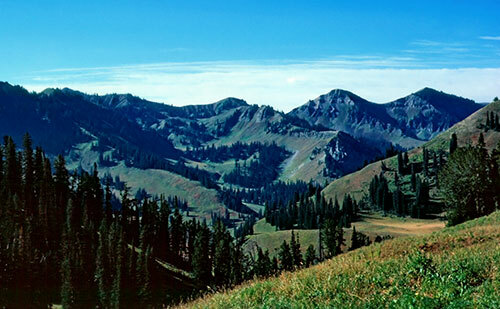 The 1984 Wyoming Wilderness stated that the wilderness characteristics of this area, which is on the Idaho/Wyoming border were to be protected. Winmill, chief judge of the Idaho federal district, concluded that this meant that motorized use in the area was not to increase, a point conservationists have long argued for the Palisades and other areas protected by the “wilderness study area” category by Congress. Story in the Jackson Hole News. By Corey Hatch. My page on the Palisades backcountry. I hiked in this region as a teenager and college student in the early 70s. I agree with the judge’s ruling. Some outdoors people seem to have forgotten one tool of travel: their own two legs. However, on the Idaho side only Big Elk Creek and Palisades Creek trails are closed to motor vehicles. The Forest Service argues that motor vehicle use is transient, its marks will disappear as soon as the area is designated Wilderness. In fact, the heli-skiing is stressing the mountain goat population and may be the cause of their decline. Dirt bikes, but mostly ATVs, get in the high basins, which are a wonderful show of tall forbs in mid-summer, many of them tender tall flowers, and they drive around in them, ruining the view for everybody. The soil is erodible, and so these scars don’t go away over the winter.